Creating an App from scratch and getting it ready – is an amazing feeling. It is like getting a major to-do item checked out from the list. That said, getting an app ready is only the first step. The real issue is to get people to actually use your app. It is true that people keep a lot of apps in their cell phones but how many of those apps are even opened once? Surely, you aren’t making an app just for keeping it – you want it used. There are many methods to promote an app. Be it SEO, PPC, SMM, Reddit, Quora – there’s no limit to the options you have. But no matter who you are or what your app does – your app’s journey will start from the App Store. 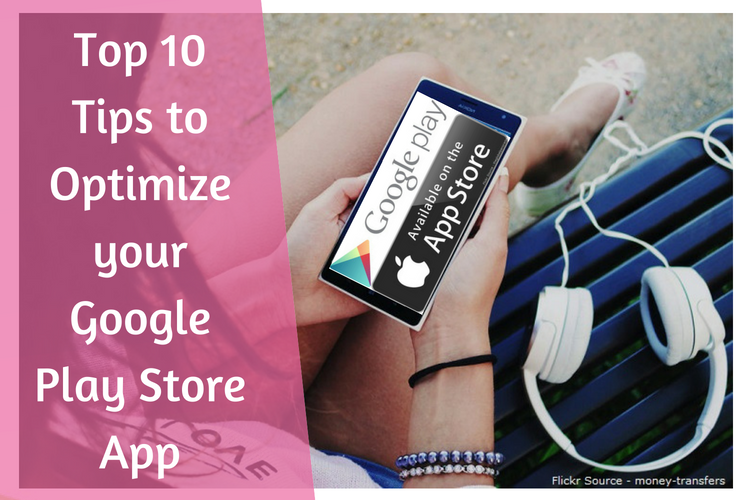 Here, we are going to cover the top 10 tips to optimize your app for the Google app store. I wanted to keep this point on the top. Surely, there are many optimization tips that you can start with but often people overlook a very basic app optimization tip. Yes, your app’s icon is the first thing that your potential app user will see and next to some shiny and catchy icon, your own icon and it’s CTR will suffer. Getting a good icon designed isn’t that difficult. It is perhaps the cheapest and the easiest tweak that you can implement right away. Get a good icon designed and start your app journey on the right foot. There are many ways to approach this point. You can target difficult keywords, work your way up to the top and gain a lot of traffic. If you have a bigger app and you want to compete with strong competitors then you should go for the toughest keyword first. But if you are simply starting out and the app in question is your first app then it is better to target long-tail keywords. LongTail is a phrase that we have used for over a decade now and it refers to keywords that are longer and more specific. Say your keyword is “Wedding Dresses”. Then your long tail keywords will be – “Classic Wedding Dresses” or “Simple Wedding Dresses”. Understand long tail keywords well and if possible make an excel sheet full of these keywords. It is easier to rank for these keywords and often they convert far better than the base keyword. Your app’s title and sub-title sections are the best places to add your keywords and optimize your app. This step is basic and as all SEO goes, it is the same here – put keywords but don’t make it look like its stuffed. If a normal user is comfortable with your keyword selection then you are probably ok. Go for your brand name and add a very relevant and important keyword with it. The description text is usually sort but that said it can’t be without keywords. Optimize the description section with relevant keywords but do note that people actually read it, so make it readable too. Choose some keywords that are both relevant and makes sense while reading the text. In Google play there isn’t any place to add the keywords, so whatever you place in your description – especially the first few lines, usually goes into the keywords. So be careful while you pen down this description section. People have limited time on their hands and it is unlikely that they will flip through your unlimited screenshots about your app. However, in case they do – feel free to add as many screenshots as you wish – just make sure to keep some really good ones in the first few shots. 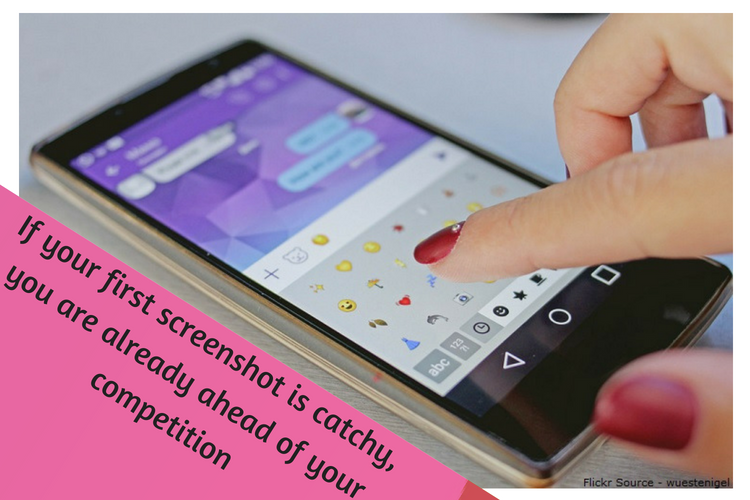 If your first screenshot is catchy, you are already ahead of your competition. As always, most people will close your video in seconds – so either you catch their attention or you don’t. Make a really good video – it might cost you, but it will be worth it’s cost. Keep it very sort and right on the point, especially in the first few seconds. This is a very important step and you should make sure to get it correct. There is no point asking for ratings from people that aren’t that happy as you only need 5 star ratings – anything below it isn’t worth having. The best way to do this is to make sure that you are only asking for ratings from your satisfied customers. When we look for an app that does a particular thing – say converts music formats for example – we look for reviews and star ratings. We naturally takes it for granted that the reviews will be honest and it will come from people who have tried and tested the app that we are going to download. If the reviews seems to be ok, we go ahead and download the app. The reason we do this is that we don’t want to install an app only to find out that the app does not work – then uninstall it and try another one again. Downloading and installing takes time – you want the app to perform a task and the best way to make sure that you get it right – is by reading reviews. I won’t really suggest to jack up the reviews, rather try getting some good reviews from people who have used your app. These people can be your social media connections or bloggers whom you can outreach and request to test drive your app. 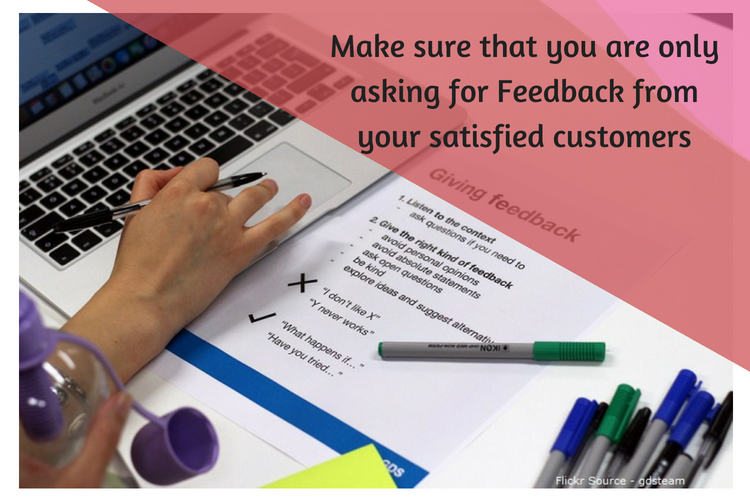 There are many ways to get reviews, it is up to you on how you approach it. While you can’t do much about the actual review but you can surely add your own reply to it. This feature is excellent, it is like blog commenting! This reply to reviews helps in multiple ways, firstly the people who are adding their reviews – when they see timely response it motivates them and this connect that you make with your users is truly great. Other people see the conversation and they immediately see a community flourishing and they jump right in. If there is one metric that tells an app is a success or a failure is its download numbers. If your app is huge then your downloads will be in millions and these are the type of apps that people use without really worrying about anything because millions of people have already tried and tested out the app before you do. Do note that jacking up the download numbers by methods that are best not discussed here can be really bad for your apps future. The algorithm that Google uses to determine whether your app should get more visibility or not depends a lot on how people interact with your app. Guess what happens when you pay someone to download your app? Exactly, they delete it right off! That is a huge signal that your app is such a turn off. Let people download your app if they are genuinely interested in it. These are just the basic tips to get started with the app store. Once your app starts to see some traction, it is time to start figuring out a marketing plan that speeds up the downloads and app usage further. I found your post very helpful to get live an app in store from scratch. You mentioned all the points that are very important for any app marketer and owner to consider. Great points and tips for consideration. I agree with you that the design of your app plays a crucial role to the success if your app on Google pay store. For example, just as a unique brand logo helps you express your brand culture and represents your brand in a positive light, your app’s design works in a similar way. Further, using the right keywords has become the best marketing tactics to increase organic traffic, same goes with using the right keywords for your app. A difficult keywords works great, best I like using long tail keywords as it is more descriptive and specific! Great article :)I think in these types of cases initial hype/boost is something very important. You need that initial push. Plus have good reviews early on and reply to the concerning one can also put you on the map. If you have designed a truly amazing app maybe you could end up in editor’s choice which is a huge deal. we are also developing our app with in-house developers. Currently, we are testing different UI and it is very hard to come up with a design which would be appreciated by other peoples. Thank you for the great tips, these would come handy when we publish the app and when we are promoting the app. You have shared a good post which is very helpful. I am planning to develop an app for my business. Your suggestions are quite handy and I will keep it in my mind to implement them. What an amazing ASO guide on Google Play for App Marketers. The App Store Optimization works on the basis of the number, the more user reviews, and downloads, then there is a chance to get higher the ranking on Google’s Play Store. Since all apps are essentially visual – then video is critical. I’d even strongly suggest Facebook live or Google live so people can actually see you demonstrate, and ask questions about your app in real time. Wonderful article to optimise our app on play store, I was going to ask you the same question that you have answered so technically well in this post- what if we hire people to download and put review on the play store? You have answered it well, they will eventually delete it without interacting with it for a long time and than google will regard that app a really low rank as with high downloads and high installation this is what it will depict. Thanks for sharing this post. This is really a wonderful article to understand how to Optimize an App on Google Play Store. In today’s competitive marketplace to rank, your app in play store is very difficult if you not doing ASO. You shared very depth knowledge of ASO and it is very useful. Thank you for your time effort to publish this article with us. I have recently starting replying to the comments and this has really helped in increasing my downloads.